Rossi Eames has stated he will not be the man to lead League Two side Barnet forward for next season, despite two successful caretaker spells, insisting he will return to his duty of Head Of Youth Development at The Hive. Eames became the youngest manager in the EFL when he was appointed as manager until the end-of-the-season in April, after previously being in caretaker charge from December until the start of February. In sixteen games, the 32-year-old managed to record seven wins and the same total of losses - leading the Bees to a comfortable finish in 15th, eleven points above the relegation zone. It was heavily expected that Eames would accept the offer handed to him by his employers to take the managerial role on a permanent basis, however he has insisted that he is 'Not the right man for the job,' despite that impressive record. 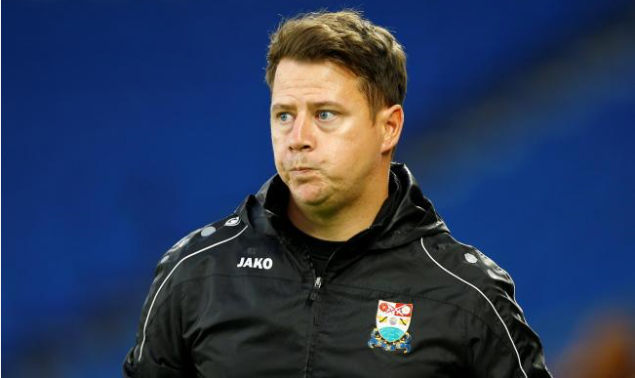 Since Lawrie Sanches left the club in 2011, Barnet have seen a total of ten managerial changes, in which include Edgar Davids, Martin Allen, Kevin Nugent and Mark Robson. The favourite for the job is Boreham Wood manager Luke Garrard, after the 31-year-old helped the semi-professional side finish 11th in the National League last campaign. Garrard is the youngest manager in the top five divisions of English Football, as he is four months and five days younger than Eames and has been with Boreham Wood since October 2015, after replacing Ian Allinson at Meadow Park. BEE CALM, IT'S A SCOTT T STORY!!!! 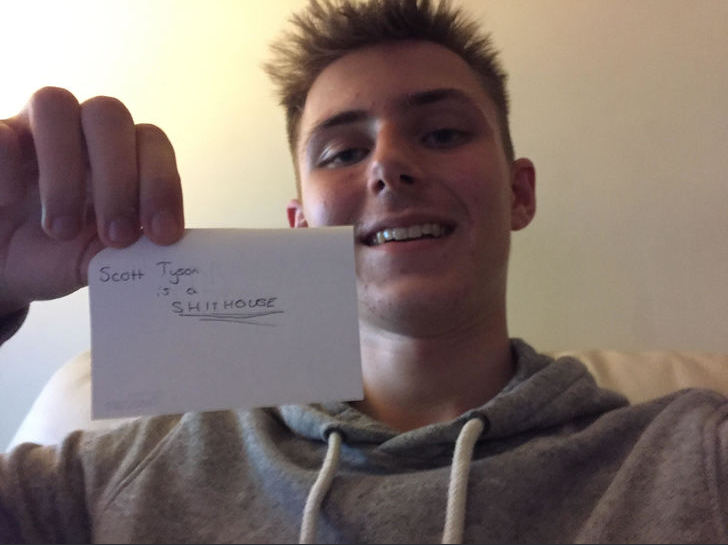 2018-03-23 16:54#248691 Justice : BEE CALM, IT'S A SCOTT T STORY!!!! Clever pun. Aye, time to get back to writing and try and get a few more old faces back! The site has been dead for a while. 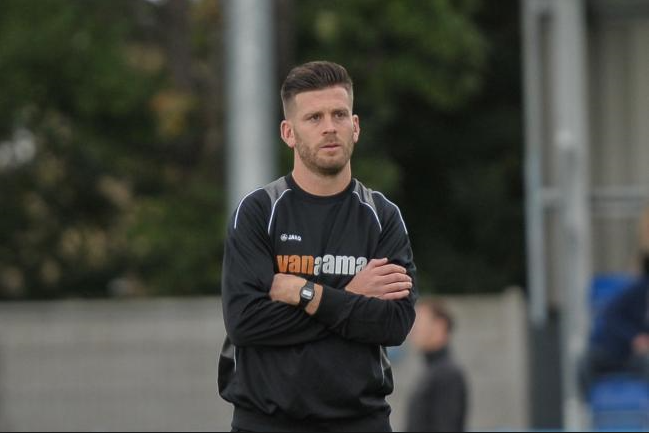 Boreham Wood manager Luke Garrard has denied reports that he is close to agreeing a deal to become manager of Sky Bet League Two side Barnet. Garrard has been closely linked with the vacancy at Barnet since Rossi Eames announced he would not be taking the role permanently and returning to his previous role at the club, however he has denied any contact with the London based outfit. The going-on's at Barnet have been at a minimum over the last few days, with no real news about any other potential appointments on the horizon. Barnet chairman Anthony Kleanthous, however, has reassured supporters that 'A suitable replacement shall be found within the next week or so' and that 'No rash decisions will be made,' regarding the hotseat. 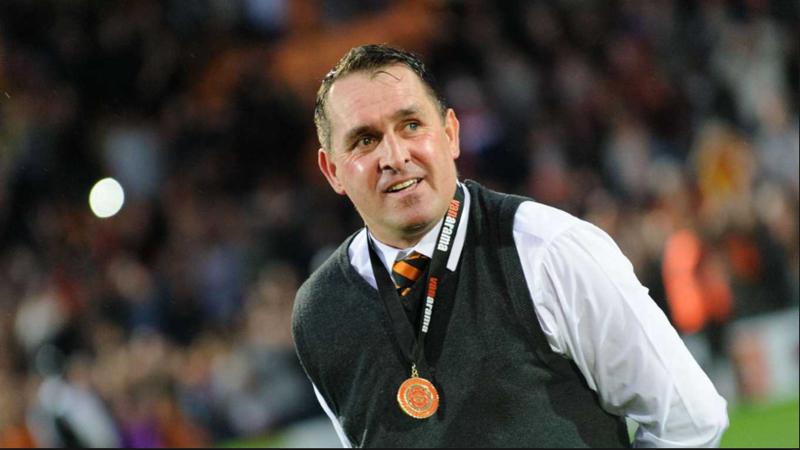 Martin Allen has been appointed Rossi Eames successor on a one-year-deal. The 51-year-old will be making his fifth spell as Barnet manager following the appointment. Barnet fans are already familiar with their new manager after his four previous spells at the club, in which he has kept the club in the Football League and won promotion back to it at the first attempt in his previous reigns, before he moved onto other opportunities, most recently at National League side Eastleigh in 2016, before he was sacked just three months into his spell in February 2017. Nicknamed 'Mad Dog,' Allen began his managerial career with Barnet in 2003, before leaving to join Brentford a year later, following a successful spell in charge with a win percentage of 43%. Spells at Milton Keynes Dons, Leicester City and Cheltenham Town followed, before he returned for his second stint at the club. Allen was contracted to manage the final eight games of the season, however left after three to join Notts County after an unbeaten spell. Again, Allen would return to the club a year later - this time to ensure the club would remain in the Football League. With the odds firmly stacked against him, Barnet managed to avoid relegation on the final day, after Allen won two of his three games in charge, drawing the other. The club thanked Allen and let him move onto pastures new once again. 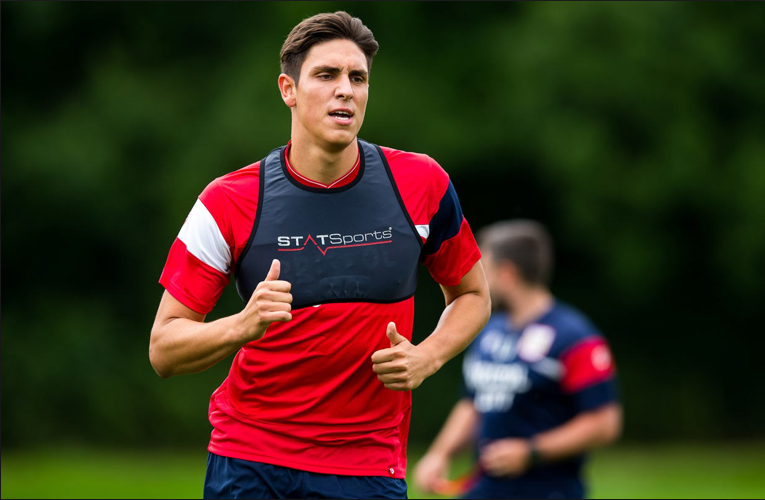 This took him to Gillingham, where he would win League Two with the club in the 2012/13 season. However just two wins from his first eleven in League One meant he was shown the door by the Kent outfit. However more success followed Allen, as he returned for a fourth spell at The Hive. Promotion back to the Football League at the first attempt was a huge achievement in many people's eyes, as the Conference had a reputation of being a hard league to find your feet in. Barnet would comfortably avoid relegation in their first season back in League Two, finishing 15th. But despite the Bees starting the 2016/17 season just outside the play-offs in eighth, Allen made an unexpected request to terminate his contract to join National League side Eastleigh. This move was his most recent destination in which he failed to replicate what he did with his former employers, celebrating just two wins from fourteen games. 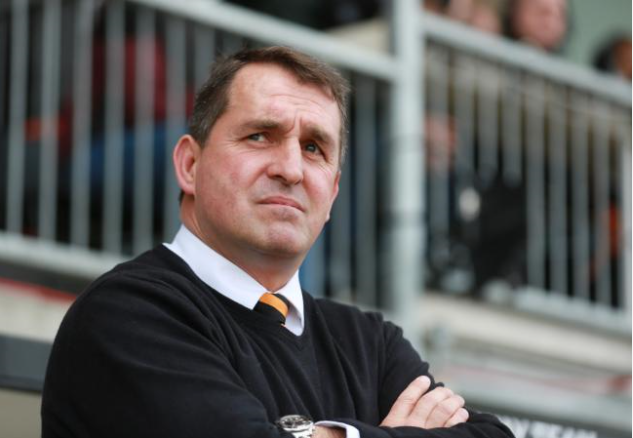 New Barnet boss Martin Allen has said his aim for the season is to 'Stay up' and prevent relegation to the National League. Allen, 51, rejoined the Bees for the fifth time as a manager, originally joining the club in 2003. He has preformed miracles in the past, in which include keeping the club in the Football League against the odds and achieving promotion back to League Two after winning the Conference in the 2014/15 season. The appointment was made following the departure of Head Of Youth Development Rossi Eames, who was offered the job on a permanent basis, however wished to return to his previous role at the club following his three different spells as caretaker boss. Luke Garrard, who has enjoyed success with Boreham Wood, was linked to the job also, however he denied ever having contact with the club. Barnet forward Dave Tarpey has said he is 'Ready' ahead of his debut year in the Football League after his move from Maidenhead United. The 28-year-old joined the Bees on an undisclosed fee from Conference South winners Maidenhead United this Summer, after scoring 44 goals in 41 games for the Magpies. 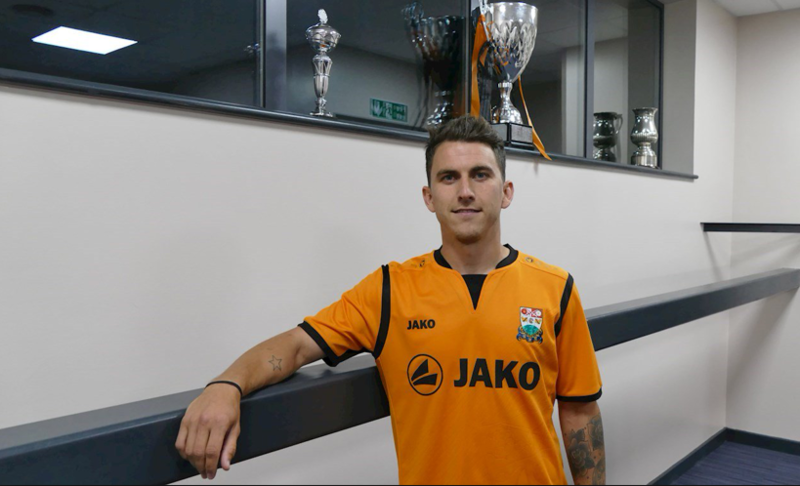 With many success stories over the years, with the obvious name being Jamie Vardy, Barnet will be hoping that Tarpey can follow in his footsteps and help lead the club forward this season. The Englishman will be challenging John Akinde, who scored 26 goals last season in League Two, for the main role up front, as Barnet look to retain their Football League status once again this season. Tarpey broke the record for most goals scored in the Conference South last season with his prolific form. Previously, he had been working a day-job alongside his time with the semi-professional side, who are gearing up for their debut year in the National League this season. Turning down Coventry, Tarpey said, 'I went up to Coventry City, had a tour of the ground and facilities and then sat down with them. They made me an offer, and I had to weigh it up. When it came down to it, I just couldn’t make it work. I would have had to leave my job obviously, and also relocate. Relocation wasn’t the issue, but I have a mortgage and without going into exact figures I would have been worse off,' he said. 'When you look at it, I earned from working full-time, playing at Maidenhead and I would have had to stay in Coventry for a good part of the week. I don’t rent down here, so it was a big decision. It’s not all about money. But I have a young boy called Jack who is 19 months old, a fiancée and I can’t afford to just say ‘sod it, I’ll earn less money’ – life doesn’t work like that and I had to be sensible about the whole situation and not dive in head-first. It was one of those things, I had to turn it down. Being here at Barnet is brilliant for me, as it's not far from Maidenhead so relocation wasn't an issue and it allows me to achieve my dreams of playing in the Football League. I am ready to make an impact, I am determined to do so. I've enjoyed some fantastic years at Maidenhead and I want to ensure the same happens here at Barnet,' Tarpey concluded. Bring your Vodka and your Charlieeeee! Barnet have terminated the loan of young central-defender Tin Plavotic. Croatian defender Tin Plavotic will return to his parent club Bristol City without even making a start for the Bees, after manager Martin Allen deemed the defender surplus to requirements at the Hive. The 19-year-old made eleven appearances for fellow League Two outfit Cheltenham Town, as they narrowly avoided relegation back to the National League last season, impressing boss Gary Johnson in his spell with the club. Joining City last season, Plavotic, who is yet to make an appearance at youth level for his national side, made the switch from Bundesliga side Schalke. Albeit not playing for the senior side, he made three appearances for the club's development squad, who play in the German Fourth Tier. League Two side Barnet have today announced a partnership with Manchester City as their affiliate, with City acting as a senior affiliate. 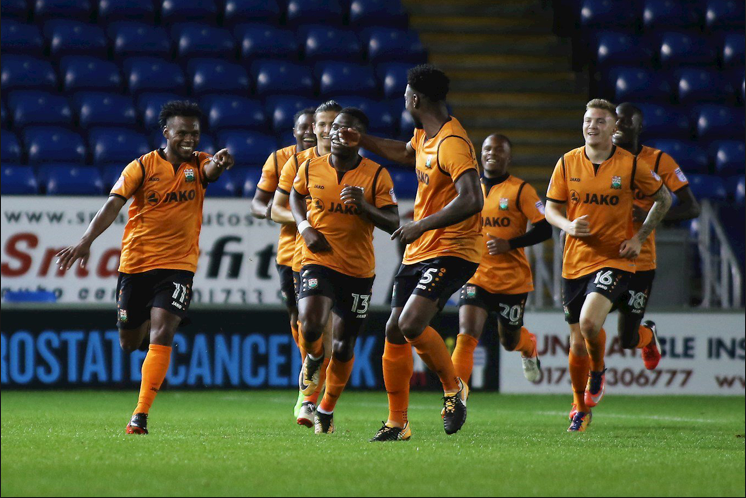 Barnet have announced after talks with the Premier League club that a deal has been agreed for the Bees to receive a yearly figure and players on loan from the Mancunian club. The fee agreed is said to be around the mark of £58,000 per annum. Barnet also have the option to bring in players from City's youth academy on loan, without paying any player wages. Managing Director Andrew Edie said, 'We are very pleased to have concluded this agreement between the two parties. We will benefit greatly from the link with such a powerhouse in the modern game, at this moment in time. Manchester City will also receive the greater good also, as this gives them a place to send their talent to and develop in the professional game. Any chance of them sending De Bruyne or Aguero on loan to you? You are reading "Beware The Bees: Barnet Football Club".